A press release from: Championship Enduro Series. 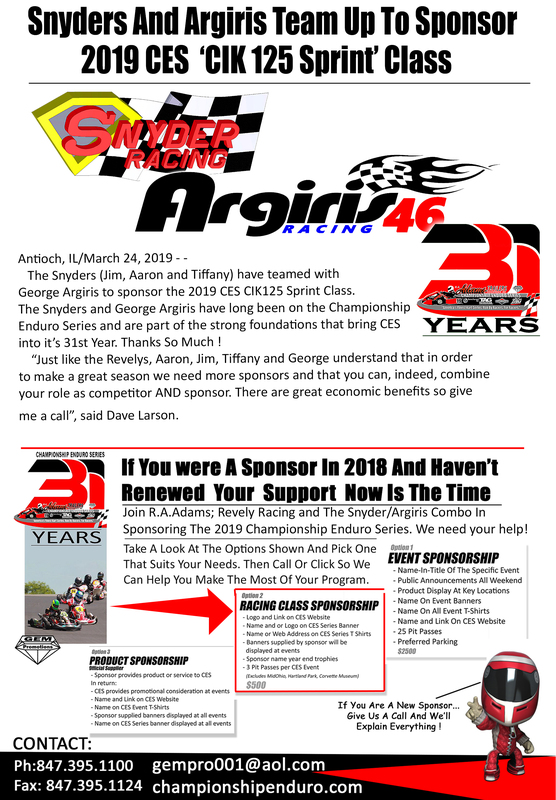 Thanks so much to the Snyders (Jim, Aaron and Tiffany) along with George Argiris for sponsoring the CIK 125 class in 2019! All of them have supported the series in so many ways over the years.